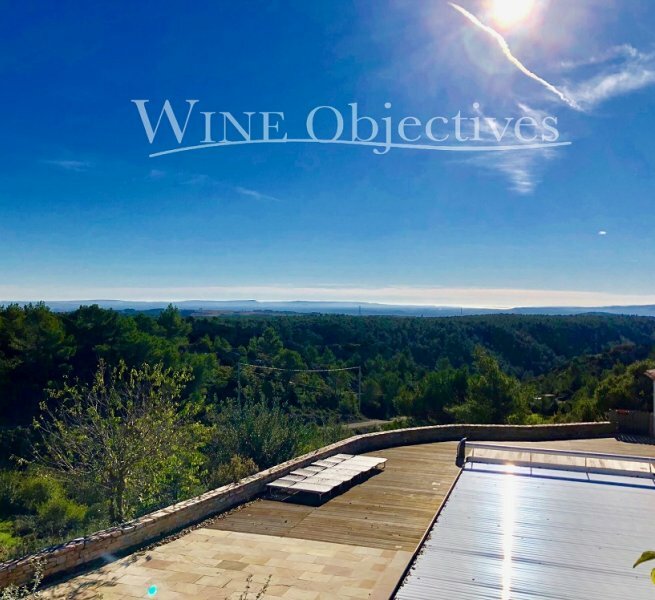 Perched high on the foothills of the Saint Chinian appellation, this vineyard estate is a true gem offering views of the Pyrenees mountain range and the Mediterranean Sea. 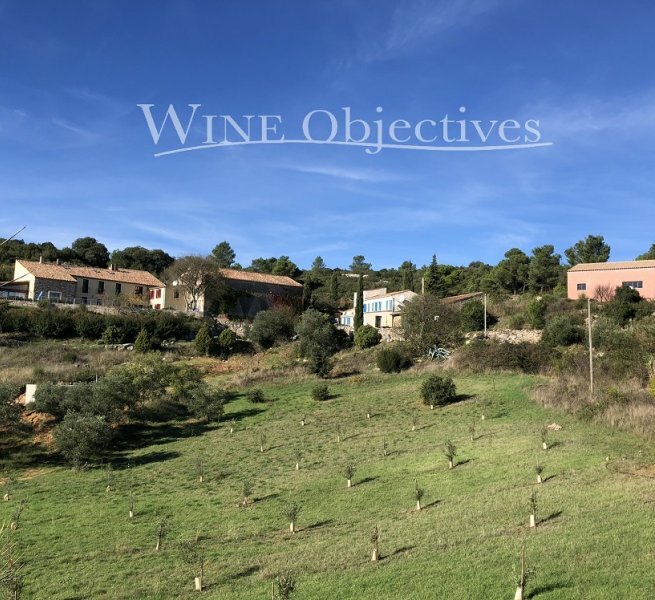 The property is located not far from an attractive village characteristic of the Languedoc, and around 30 minutes from Béziers, Narbonne and motorway exits. The main house offers 350m² of living space. It has been tastefully renovated in recent years and offers a high level of comfort. 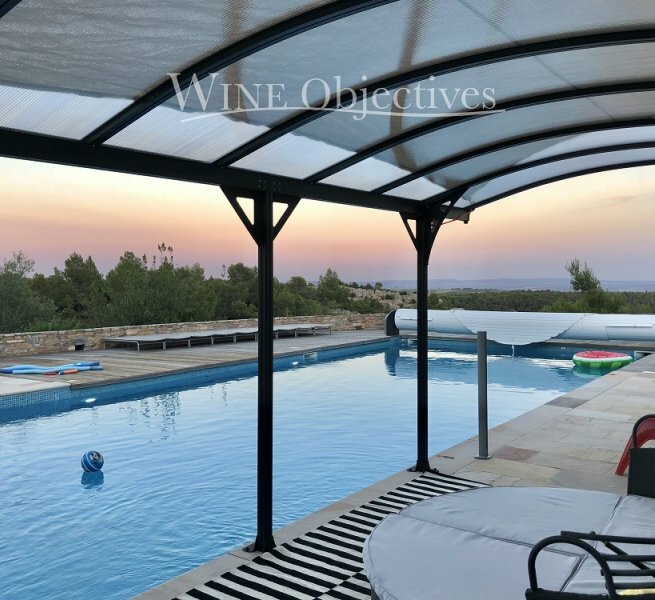 In the garden below, a 12 m long swimming pool offers exceptional views over the surrounding countryside. The housing includes a charming 100 m² cottage which is set apart from the main house. 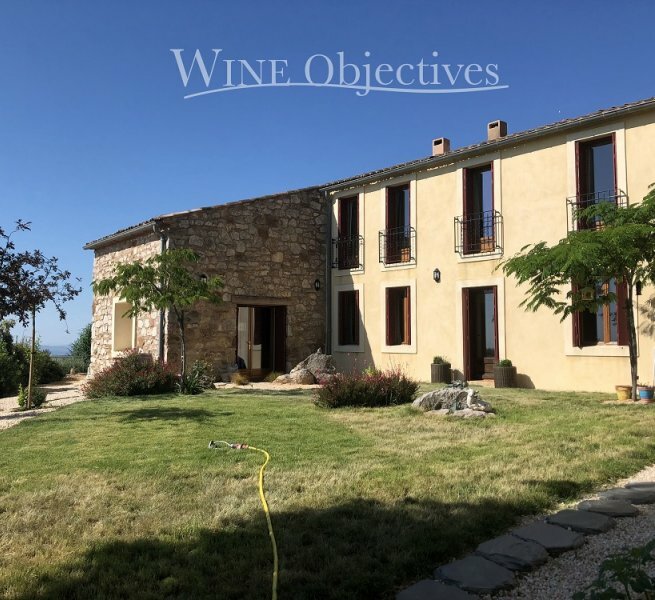 The cottage has been renovated in recent years and would allow the creation of a wine tourism project on the property. The housing also comprises a 30 m² studio apartment. The winery buildings include a large barrel ageing cellar, a vast farm hangar and other outbuildings (garages…). Price guide: 1 600 000 net vendor, stock and standing crop to be added. Agency fees of 5% net of VAT and legal costs to be added.